I began teaching traditional drawing and painting at London Fine Art Studios where I completed five years of my art training. I now run classes and pop up evenings at Clockwork Courtyard, for Upstairs Brixton and at various corporate events. I am available to teach private classes to individuals where I’ll work systematically through the basics of learning to see, draw and paint, as well as tailor an informal class to a particular group event. 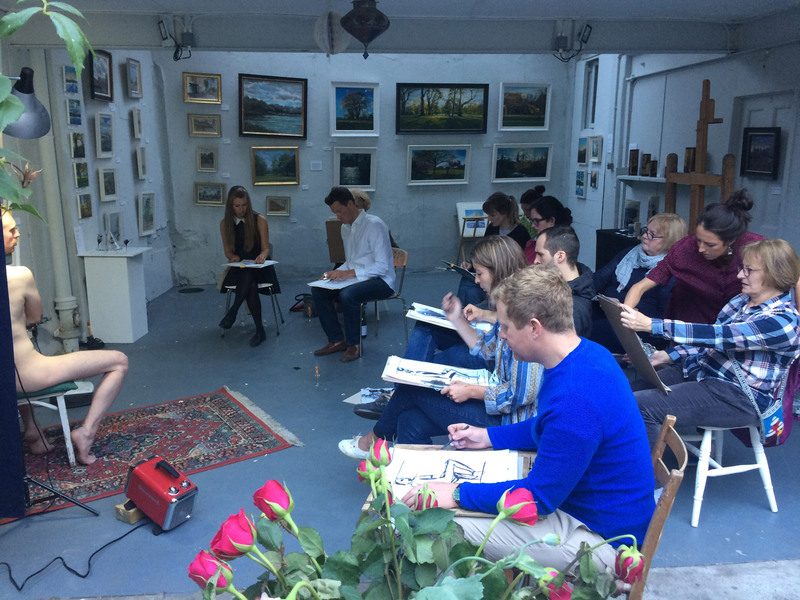 Currently, I run fun, relaxed life drawing evenings @Clockwork Courtyard. Please email me to get the latest dates and book if you’d like. Model, materials, music and vino! Please contact me if you’re interested, or have any questions!